Dallas Fair Park - 18. Hall of Religion. Sitting next door to the Magnolia Lounge are the remains of the Hall of Religion. Thomas F. Gallaher, pastor of the Oak Cliff Presbyterian Church, came up with the idea of having a building at the centennial celebration to focus on religion and its part in the state's history. R. L. Thornton and other leaders agreed with the minister, but a lack of funding prevented them for making the suggestion a reality. This problem was fixed by Lone Star Gas. The company originally planned to use 50,000 to build a pavilion at the exposition, but changed its mind and used the money to construct the Hall of Religion instead. 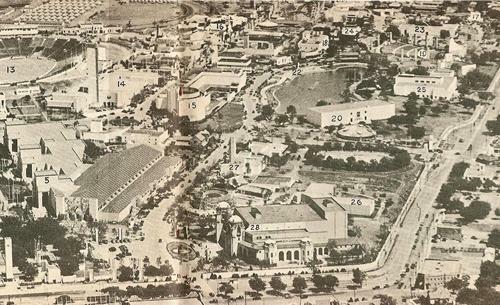 When completed, it had a patio, some reception rooms, an assembly hall, and plenty of exhibit space. The building would host representatives from the Baptists, Methodists, Lutherans, Episcopalians, Disciples of Christ, Presbyterians, Christian Scientists, Gideons, Jews, YMCA, Salvation Army, and American Bible Society. In addition to the exhibits, there were concerts and various programs. After the exposition was over, the building housed several exhibits highlighting the products and services of Lone Star Gas during the state fair. The company eventually abandoned the facility and park management turned it into a visitor center. Half the building was torn down in 1982. The offices of the Dallas Historical Society moved into the place in 1987 while the Hall of State underwent remodeling. After all the work was completed in 1989, the structure remained dormant. 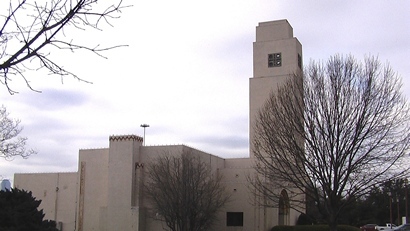 In 2005, a fundraising campaign was started in an effort to open the Texas Music Center at the former Hall of Religion. The new museum, set to open in 2007, would cover the history of Texas music and cover all genres of the entertainment venue. At an estimated cost of ten million dollars, the demolished section of the building would be restored and extensions would added, providing a total space of 14,000 square feet. There would also be a small lawn for local concerts and events. The campaign ultimately failed and the building continues to be used for storage and office space.